U.S. Senate and House lawmakers introduced new legislation on Wednesday that would prevent discrimination against LGBT people who are seeking credit reports the Washington Blade. The bill, dubbed the Freedom from Discrimination in Credit Act, would amend the Equal Credit Opportunity Act and prohibit discrimination based on gender identity and sexual orientation. Rep. Steve Israel (D-N.Y.) reintroduced the bill in the U.S. House of Representatives while Sen. Patty Murray (D-Wash.) reintroduced the bill in the U.S. Senate. "It is unacceptable that someone can be denied credit, simply because of their sexual orientation or gender identity. I am proud that my home state of Washington has these protections, but it is time to ensure all LGBT Americans are protected from this discriminatory practice." 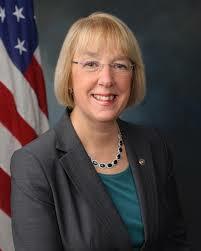 Only 14 other states guarantee credit protections, including Sen. Murray's state of Washington. The credit bill's introduction comes ahead of a larger, anticipated bill that would guarantee LGBT protections in employment housing, education, federal programs and public accommodations.